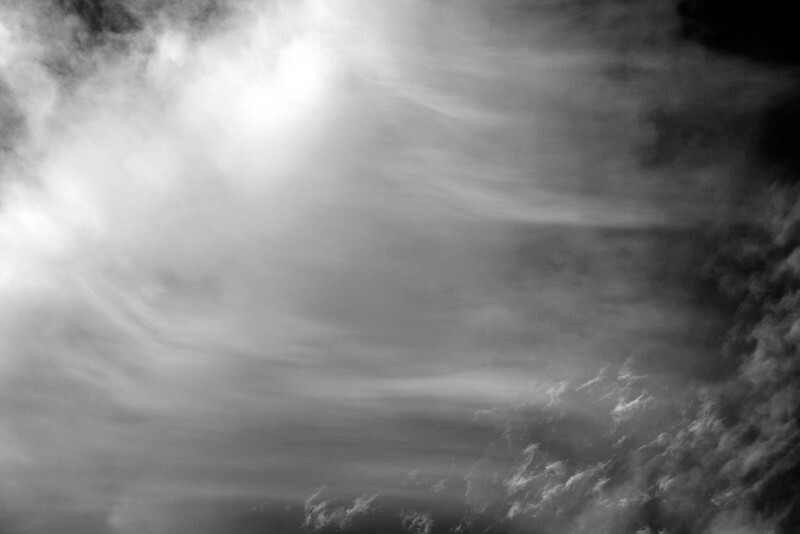 This series of abstract images of clouds was created over a three day period in Santa Fe, NM. With all due respect to one of the true visionaries of modern photography, my intent is the same as Alfred Stieglitz's pioneering series "Equivalents" produced almost 100 years ago -- to capture a moment in time; to create visually interesting images that do not depend on interesting subjects; and to show that abstract forms, lines, and colors can represent corresponding (i.e. equivalent) inner states, emotions and ideas.